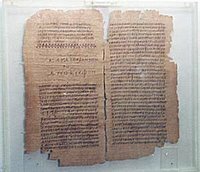 As I've been thinking about The Gospel Road over the last week (review, scene guide), I've begun to see certain parallels between it and the Gospel of Thomas - a Gnostic gospel which has come to prominence in recent years due to it sharing a fairly large volume of material with the canonical gospels. The style of The Gospel Road - part documentary, part dramatic re-construction - is noticeably different from the majority of Jesus films, as well as from the majority of documentaries about Jesus, being somewhere in between the two. In the same way, the way this film uses scripture is also very different from those films. Other Jesus films primarily tend to take incidents from Jesus's life, and occasionally transfer the odd saying from its original context in one or more of the gospels into a fresh context in the film. However, although this film has Jesus's baptism early on, and ends with his entry into Jerusalem and his death there, the incidents and sayings that occur in between do not relate to the narrative order of any of the gospels. 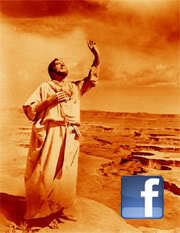 Furthermore, the film is comprised of a great deal more of the sayings material than most other Jesus films. 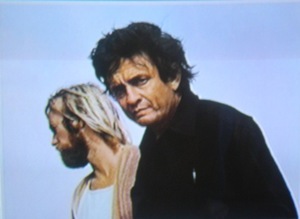 As Jesus never speaks in the film these are all delivered by Cash, who fills the role of teacher and interpreter. Just as this film does not fit the pattern of the majority of Jesus films, it also does not really fit the pattern of any of the canonical gospels. Mark, the earliest gospel, has fairly little teaching in it. Matthew takes Mark's work and arranges it around 5 (or 6) longer blocks of teaching. Luke similarly incorporates more teaching into Mark's work. However, he distributes the material more evenly. But in both cases the teaching is generally in longer sections, perhaps embedded in a story, or comes in the form of parables. Although John's gospel has relatively little action, its teaching is different again forming a number of longer discourses, most notably Jesus's farewell speech (Chs 13-17) which is almost 5 chapters! Most Jesus films tend to take one or more of these approaches. The sayings material in this film is different again. It is mainly one or two verses without much in the way of context - aphorisms, particularly those snippets of Jesus' teaching which are most beloved by the (Christian) community that the film is primarily aimed at. Most of it is extracted from its original context. And it is reported by a well known, colourful, Christian character, with many sayings introduced by the words "Jesus said...". Those who are familiar with the Gospel of Thomas will hopefully see the parallels between it and this film. I am aware that the date of this gospel and its relationship with the canonical gospels is highly contentious, with some scholars even suggesting that it is contemporary to the synoptics. I, however, share what I believe is the view of the slim-ish majority that Thomas is second or third century BCE, and dependent on the canonical gospels, as well as a few other Christian writings, rather than sharing sources with those gospels. If that position is accepted then further parallels emerge. Firstly, both The Gospel Road and the Gospel of Thomas draw their sayings from all four gospels even though they take them out of their "original" context. Secondly, both works were created to reflect, and presumably appeal to, a specific branch of Christianity, and so selects the material which most reflects that community's particular views. 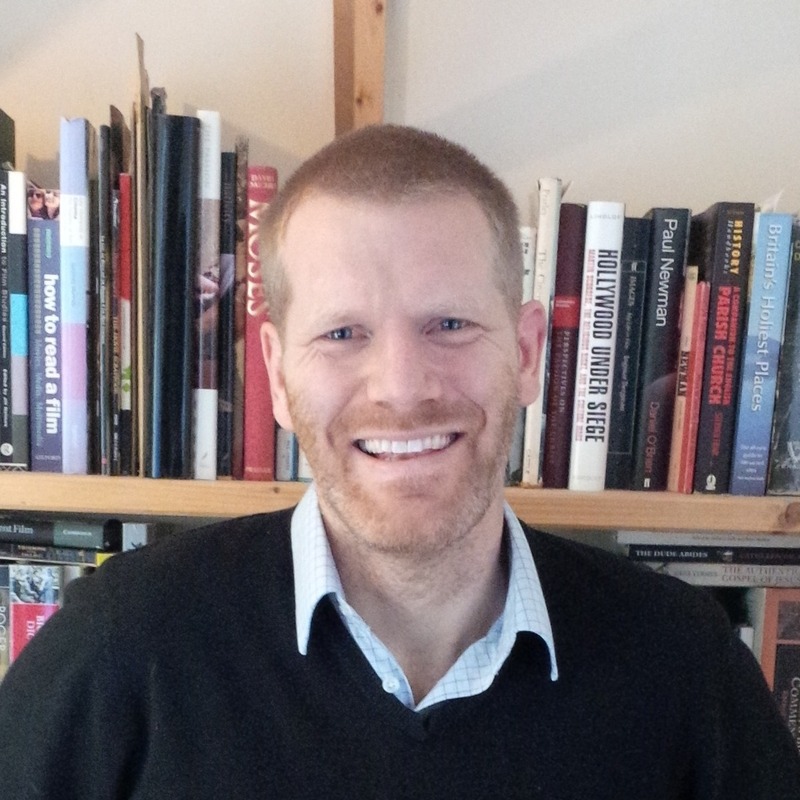 That said, some scholars, such as Ben Witherington III do not the Gospel of Thomas to actually fit into the literary category of "a gospel"
It can of course be argued that if this is a Gnostic gospel then its good news would revolve around knowledge (what Jesus taught) rather than action (what Jesus did). Nevertheless that is beside the point. The Gospel of Thomas does not include a passion narrative. The Gospel Road does. 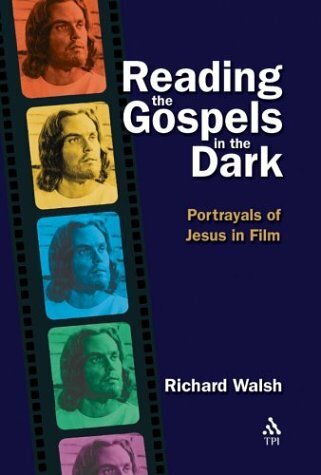 Finally, last month I mentioned Richard Walsh's book "Reading the Gospels in the Dark" which compares 5 Jesus films with the gospels they most closely represent. The second chapter compares Godspell to "Q" and The Gospel of Thomas. From memory, I seem to recall finding his comparisons between Godspell and "Q", more compelling that between Godspell and The Gospel of Thomas. It should be noted that Godspell also includes a depiction of the Passion. I wonder if Walsh has seen The Gospel Road? Since his main points of comparison regarding The Gospel of Thomas are based on the performances within Godspell I think he would find this and more in The Gospel Road. 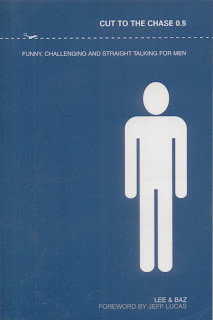 There is a fairly comprehensive review of Walsh's book at the Journal of Theology and Film.